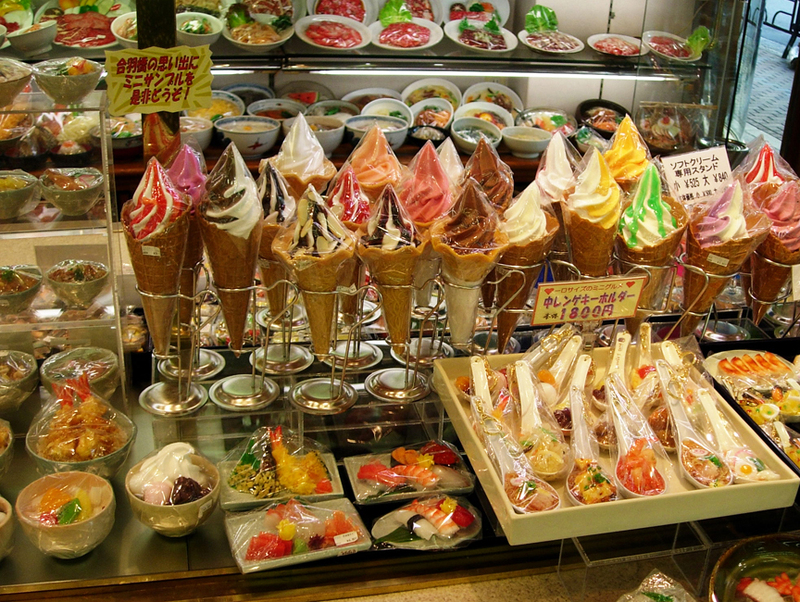 I can’t let you leave Tokyo without going to Kappabashi Street. 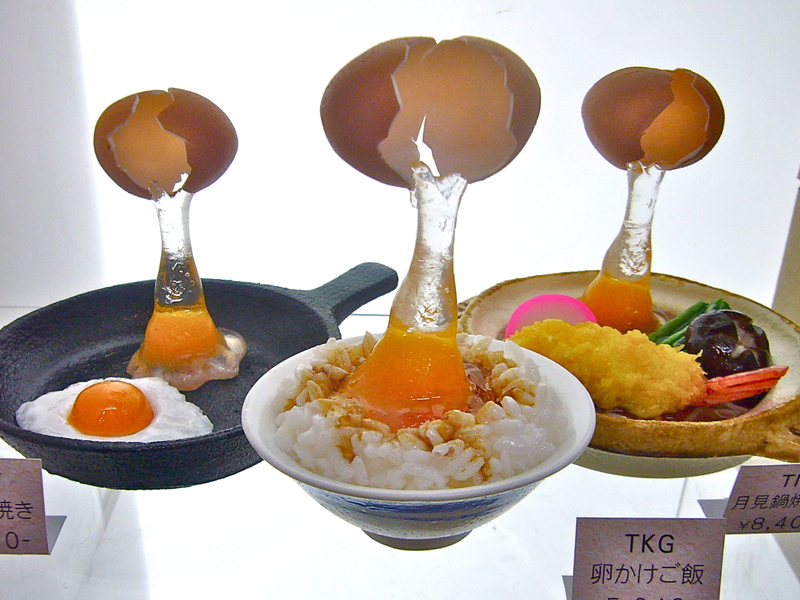 Even if you’re not a big foodie, the kitchenware district is filled with all kinds of entertaining things, including stores that sell those amazingly realistic food models you see outside Japanese restaurants. 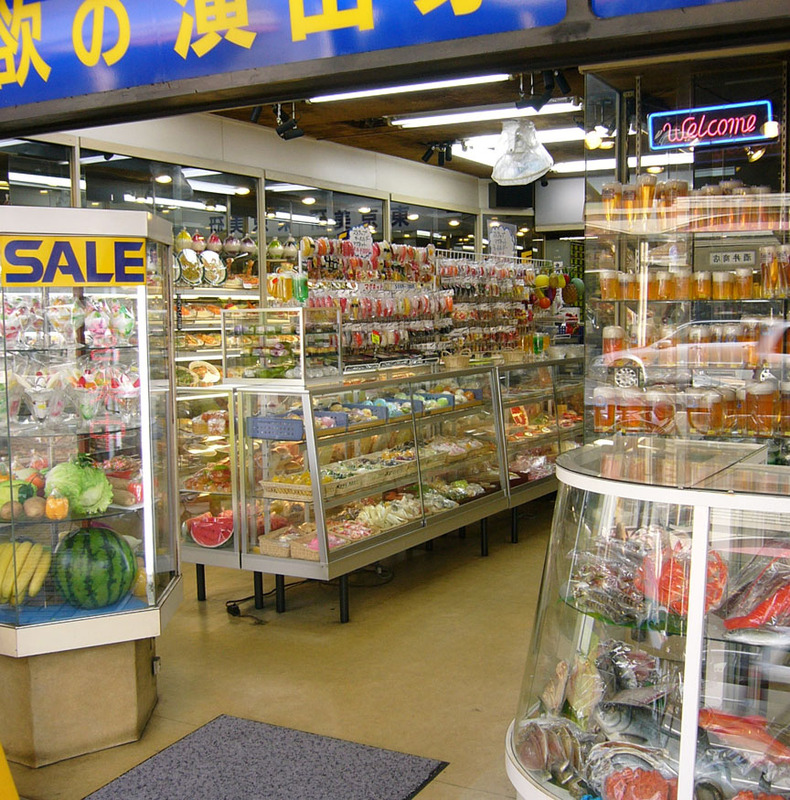 The stores lining Kappabashi Street sell everything from super-realistic food models (including the best refrigerator magnets and clocks of all time) to gigantic rice cookers, branding irons for little traditional cakes, rice molds that look like bullet trains, vases, iron kettles shaped like cats, banners advertising food shops, and more. 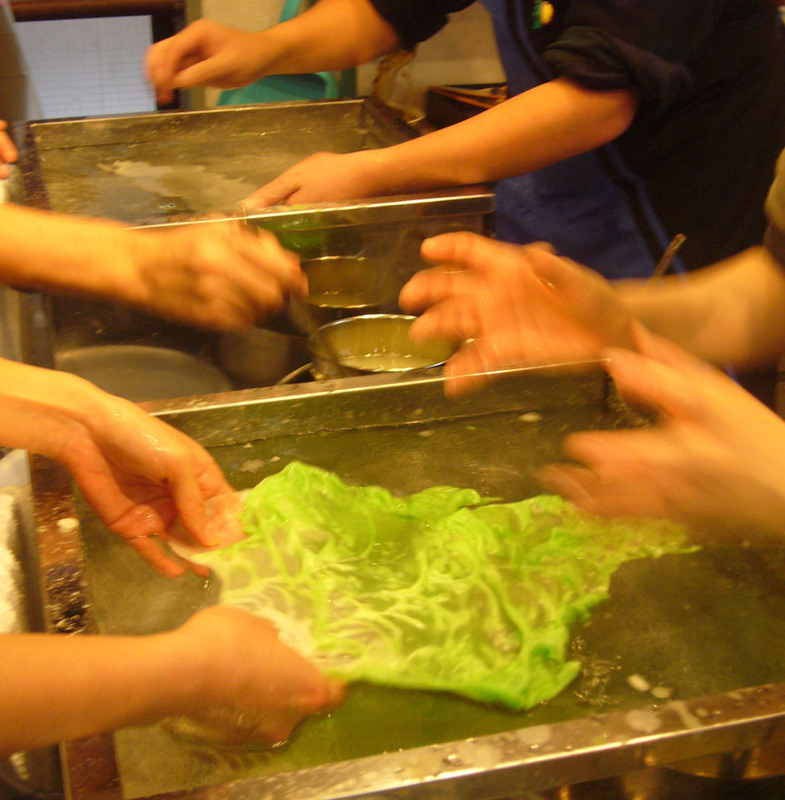 With a little advance planning you can go to a workshop and make some plastic food. Or you can buy kits to take home and DIY. 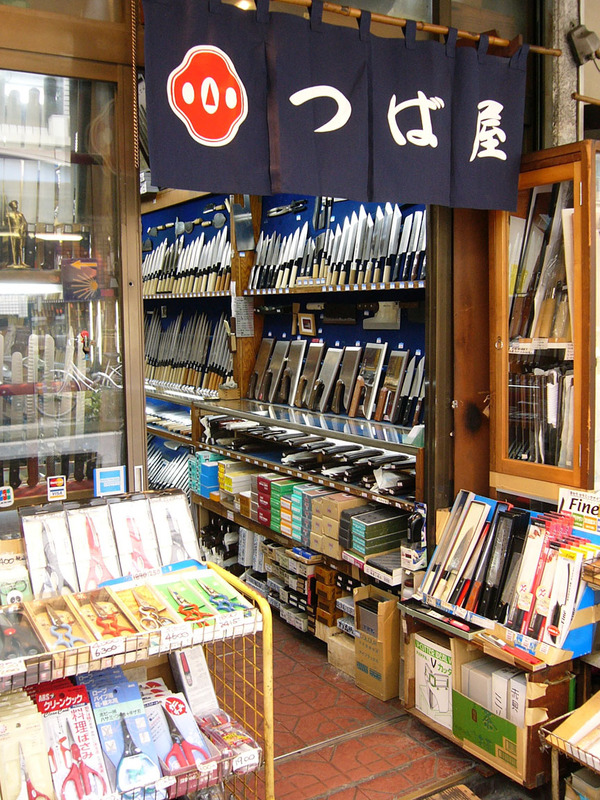 Knife stores, selling those ultra-sharp Japanese knives made by former swordsmiths. 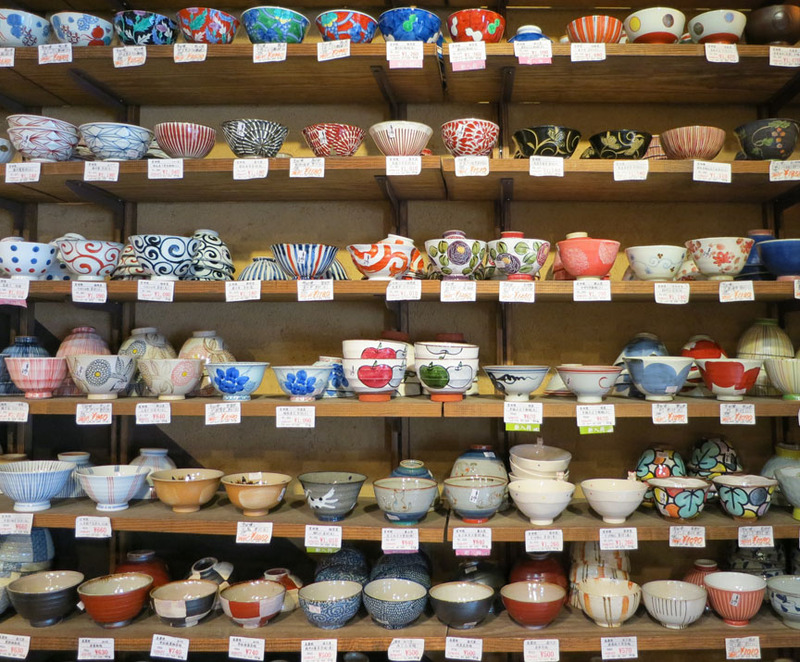 These are festival-size rice steamers. 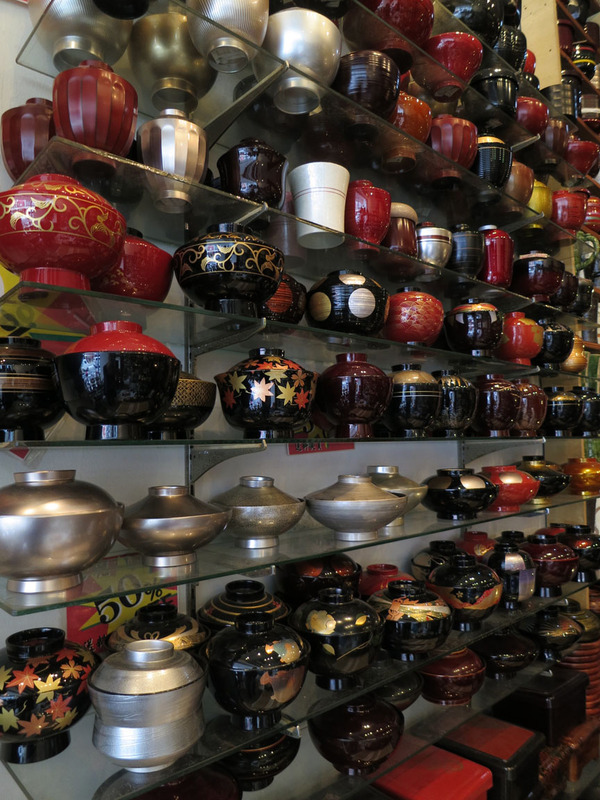 Stacks of them sit on kerosene stoves at festivals and serve up Costco-size portions of steamed rice. 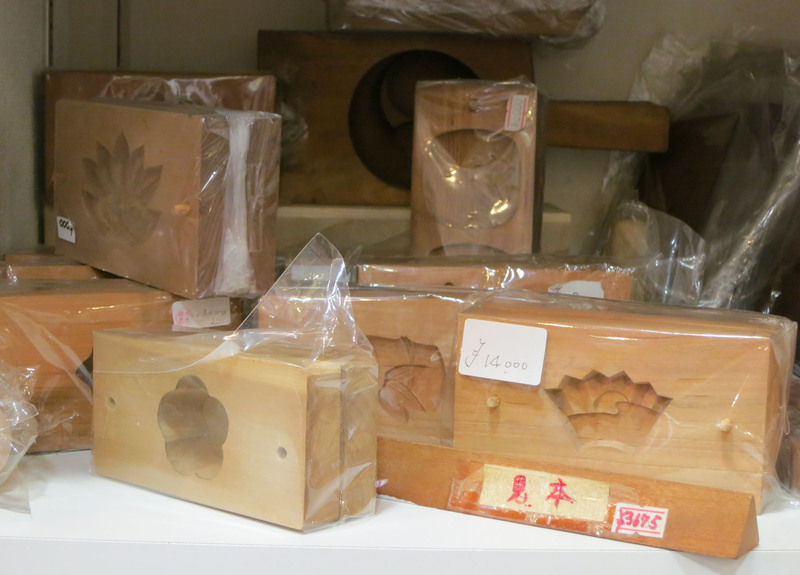 Wooden food molds, handcarved the old-fashioned way. 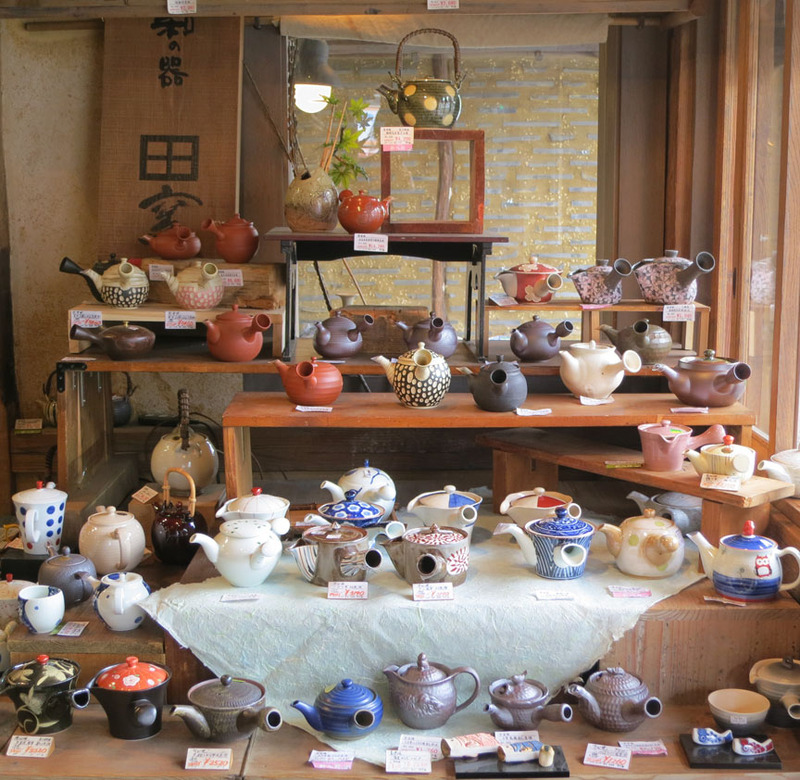 You can find iron teapots of all sizes, including these nyantasic models. 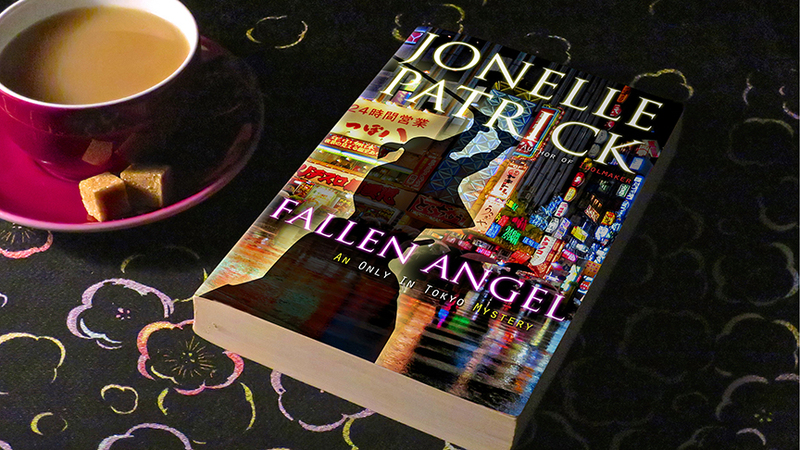 As we turn the corner and go back the way we came, let’s cross over to the other side of the street. 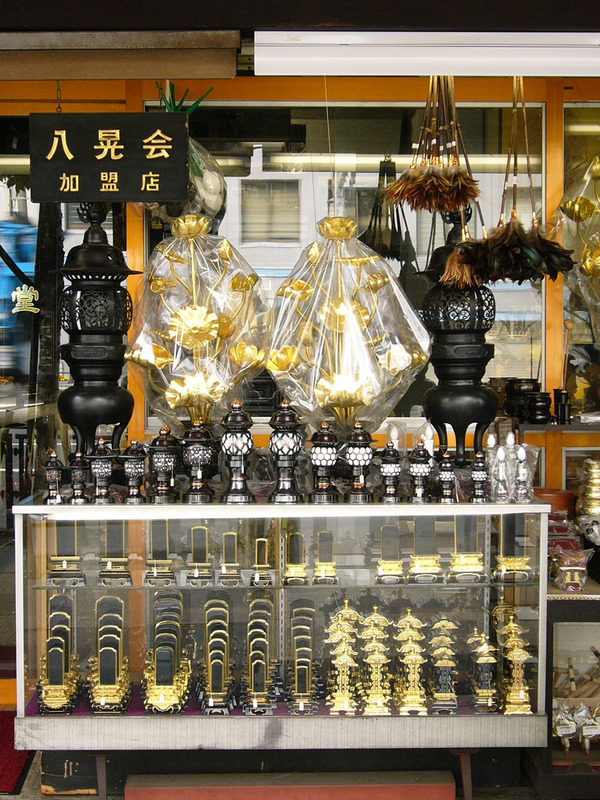 We’ll pass a few funeral goods stores filled with wooden Shinto shrines, Buddhist home altars, gold temple chandeliers, Buddhist rosaries, incense, and religious statues. 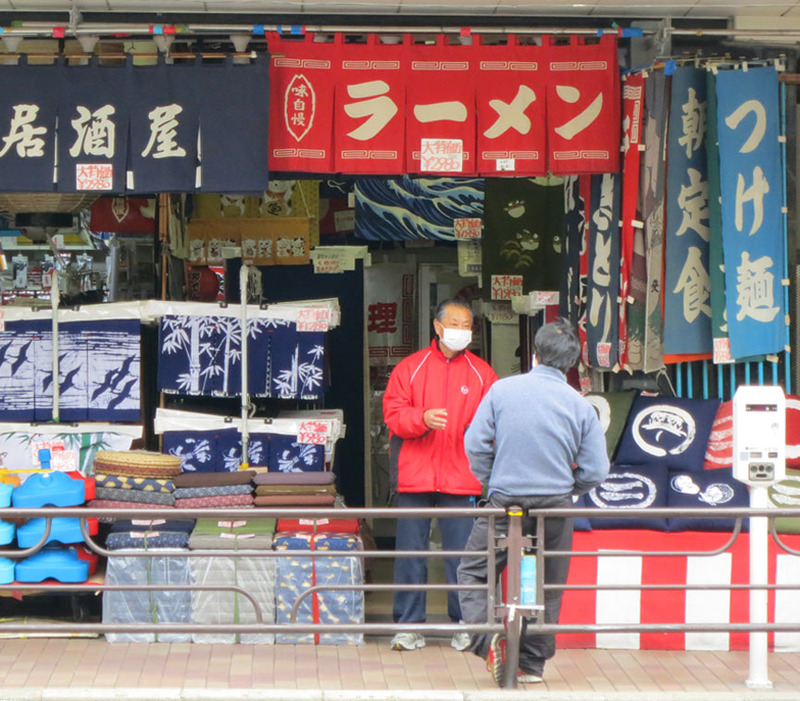 But before we get back to Tawara-machi Station, let’s stop and see the Rakugo Shrine. Rakugo is traditional Japanese comic storytelling, with a long history of wandering actors entertaining the townsfolk of yore. 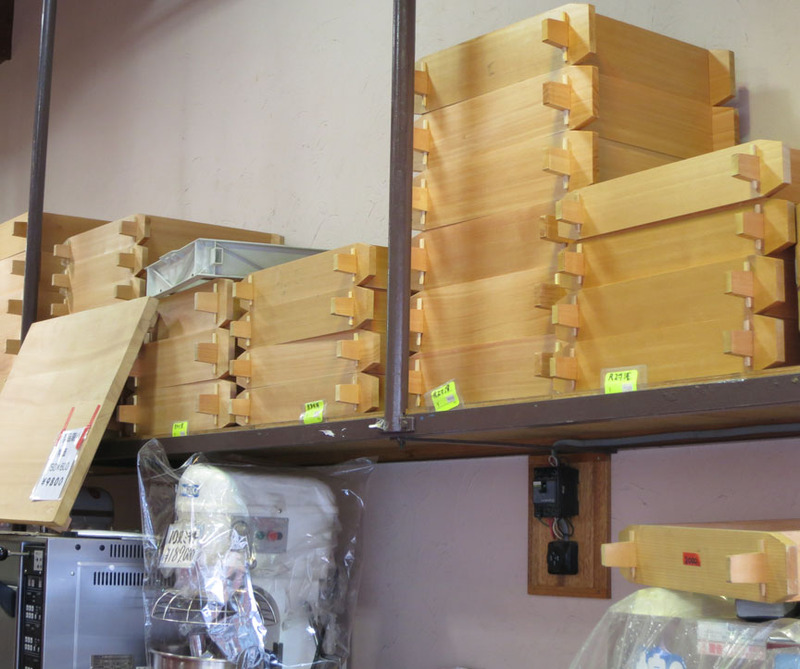 But during WWI, fifty-three of the most famous rakugo stories were entombed at this shrine forever. 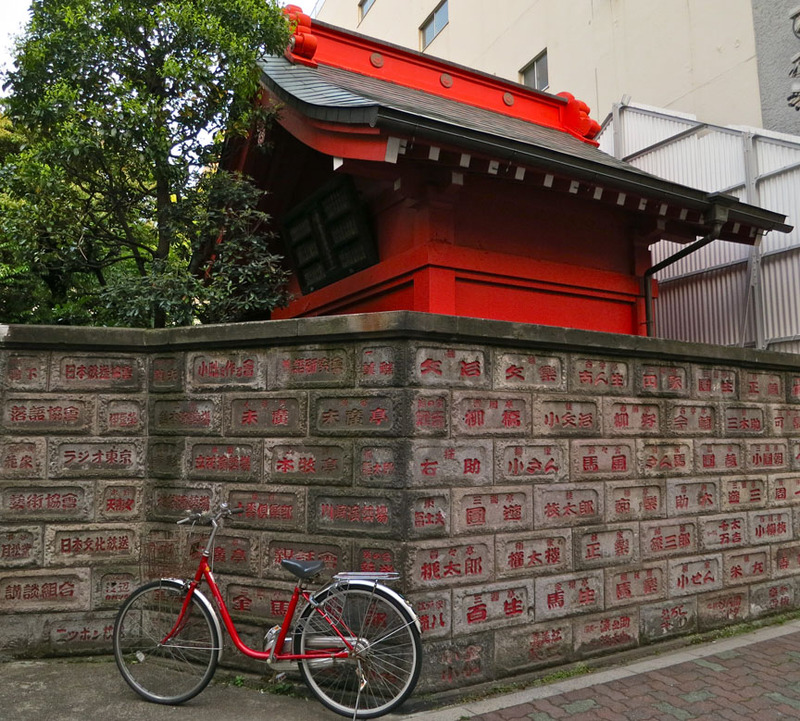 The names carved in red on the wall outside the rakugo shrine are the stage names of famous rakugo performers from yesteryear. 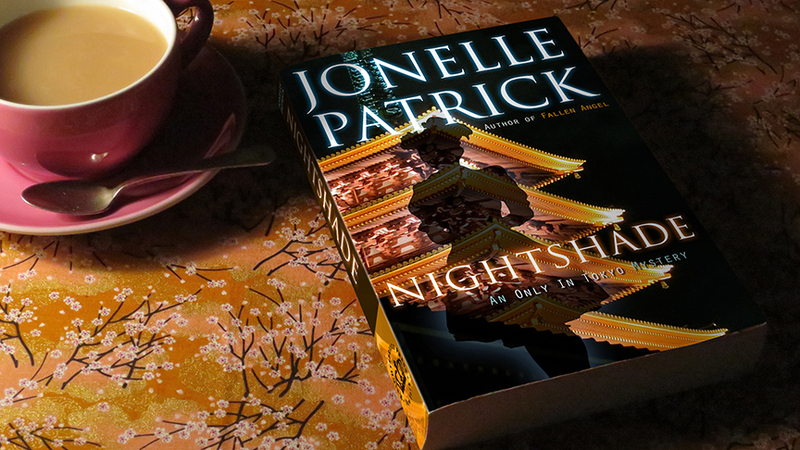 Let’s go in and read about why the 53 stories have never been performed since.